2001 W. 86th St., Entrance #4, Indianapolis, IN 46260. Being a bit anxious about having a medical procedure is not uncommon, but some children because of their age and pain level are more fidgety, anxious and uncomfortable than normal. 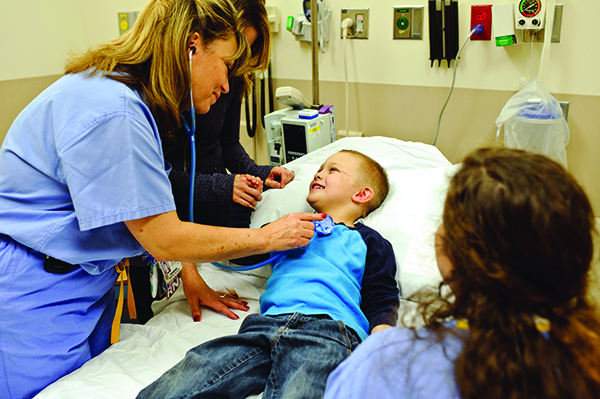 At Peyton Manning Children’s Hospital our outpatient Pediatric Sedation Services Department offers minimal to moderate sedation prior to a scheduled procedure, as recommended by your child’s physician. Our nurses have a very calming nature, and intuitively understand the stress the family is experiencing. Our nurses will call you the day before the procedure to go over instructions, learn more about your child, and to answer any questions. 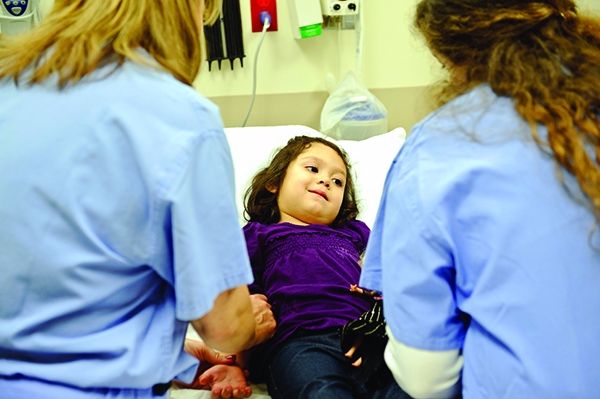 All of this is done to help our patients and families better understand why this test or procedure is an important and timely part of your child’s medical care. We work closely with all PMCH specialists. Pediatric Sedation Services also accepts referrals from physicians statewide who are coordinating care for children having tests or procedures done at PMCH. The sedation medications are given by IV, orally or inhaled and help the child relax and settle during the test. The purpose of this medicine is to decrease the patient’s level of alertness to a comfortable safe level, which also decreases anxiety and removes a memory of the procedure. In some cases, the medication also helps to temporarily decrease pain levels when needed. Throughout the procedure, these patients are able to breathe on their own and will wake-up with light to moderate stimulation. At this appointment, your children may also meet one of our Child Life Specialists. Our aim is to calm our patients before we even start the sedation procedure with distraction and play therapy. Select types of minimally invasive surgical procedures. Please do not let your child eat or drink anything on the way to PMCH for these tests/sedation services. All age groups can have clear liquids (water, apple juice, Gatorade, a Popsicle or Jell-o up to 3 hours before your arrival time. Milk, formula and food is restricted up to 6 hours before your outpatient appointment. Always refer to your pre-testing instructions. If you child requires an IV to receive sedation medicine, your child’s heart and breathing rate is continuously monitored. Once they are asleep a nasal cannula may be inserted to provide additional body function monitoring and oxygen can be administered as needed. Once sedation is established, you child may be moved to a different outpatient procedure room that is specific for that test. Parents can often stay with their child up until the test begins. Waiting rooms are provided for your convenience. Once the test is completed, the child will return to Sedation Services Department for recovery. The timeline varies based on the procedure and the type of sedation medication given. A loved one’s voice often helps to awaken the child. Upon awaking, clear liquids are offered, and vital signs are continuously monitored until your child is able to go home. He or she may still be a bit groggy and even a bit uncoordinated. For these children, we have hospital wagons (for the little ones) and wheelchairs to get them safely to your vehicle.